Decorating a first home for Christmas is one of the most special times in the first year of marriage. Gift the newlyweds with one of these special, personalized gifts they’re sure to enjoy in their home for years to come. A newlywed’s first Christmas tree should be filled with love and remembrance of their first year together. 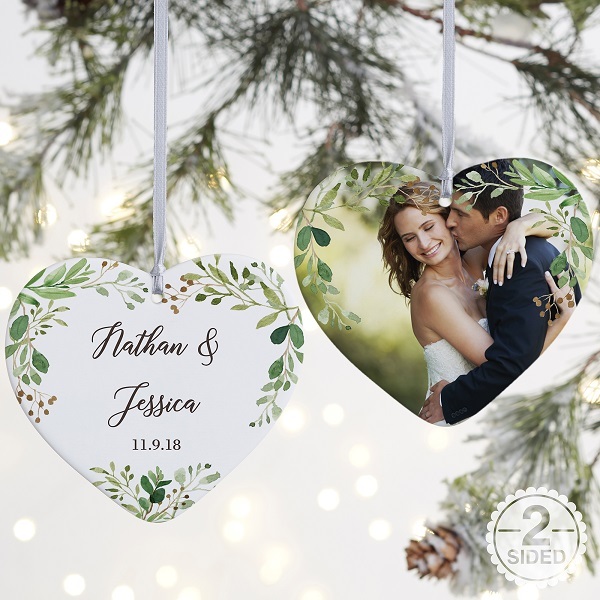 Gift one of these gorgeous personalized ornaments, complete with their names and a wedding photo. Make sure their stockings are hung by the fire with care this Christmas season by gifting one of these Mark & Graham quilted stockings. 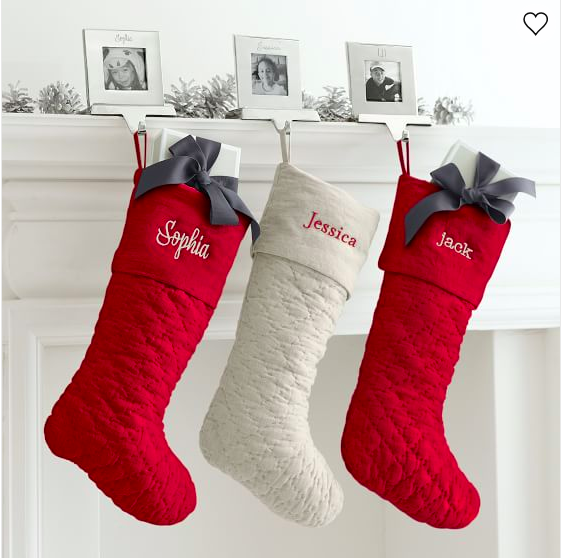 As a bonus, these stockings include free monogramming! 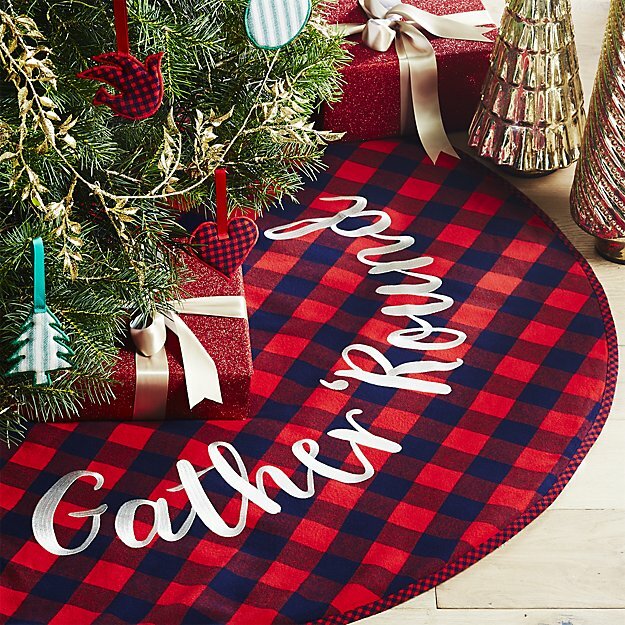 A funky tree skirt is the perfect gift for the newlyweds in your life. Consider adding an artificial tree or a gift card to the Christmas tree farm to help the newlyweds purchase their first tree together! 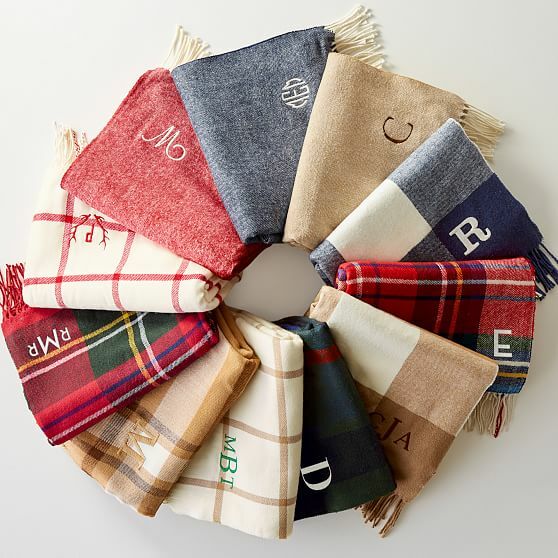 So many winter nights will be spent cuddled up by a fireplace drinking hot cocoa and the only thing missing is one of these fantastic tartan throw blankets from Mark & Graham. 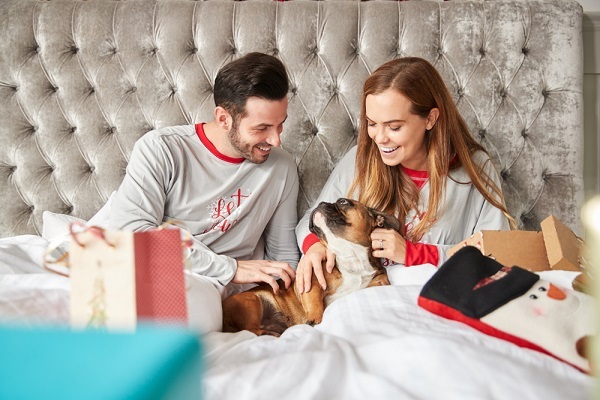 Have it personalized with the new couple’s monogram and you’ve got a beautiful gift for the holidays! 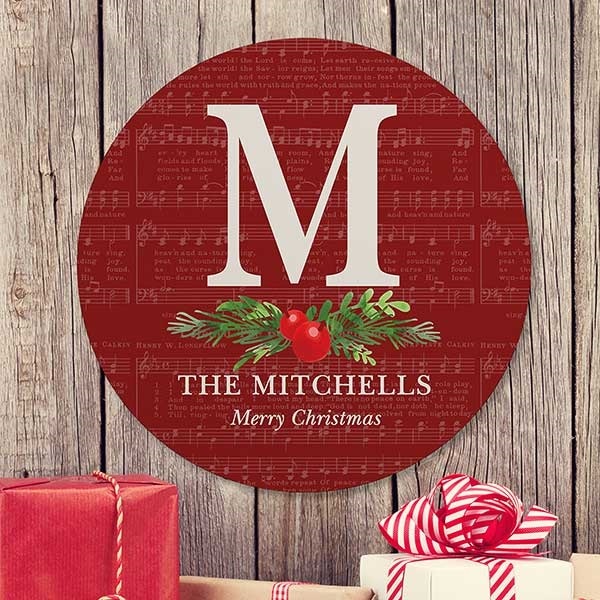 Help the newlyweds deck the halls with this personalized sign! Christmas morning isn’t complete without a set of matching pjs. With a freshly decorated home, we’re sure the newlyweds won’t wait long before hosting a holiday gathering. No holiday party is complete without a few special Christmas touches, like the ones these beautiful gifts can add. 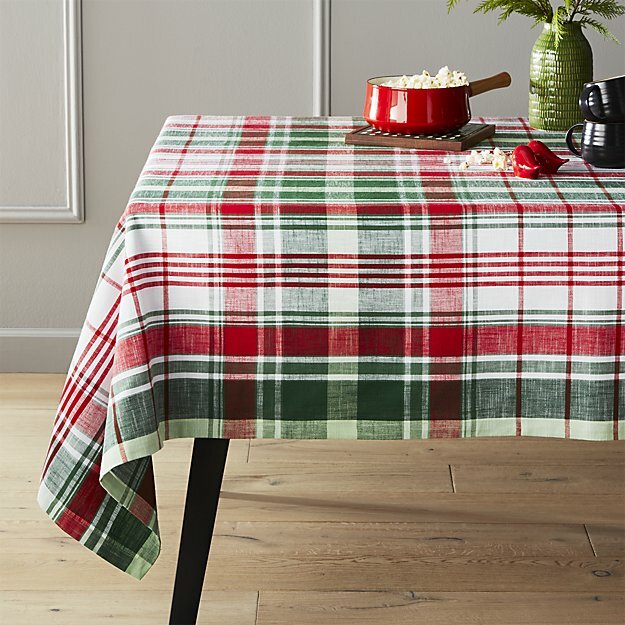 A first Christmas dinner wouldn’t be complete without a festive tablecloth. Add a centerpiece and set out the wedding china and this newlywed’s table is ready to go! 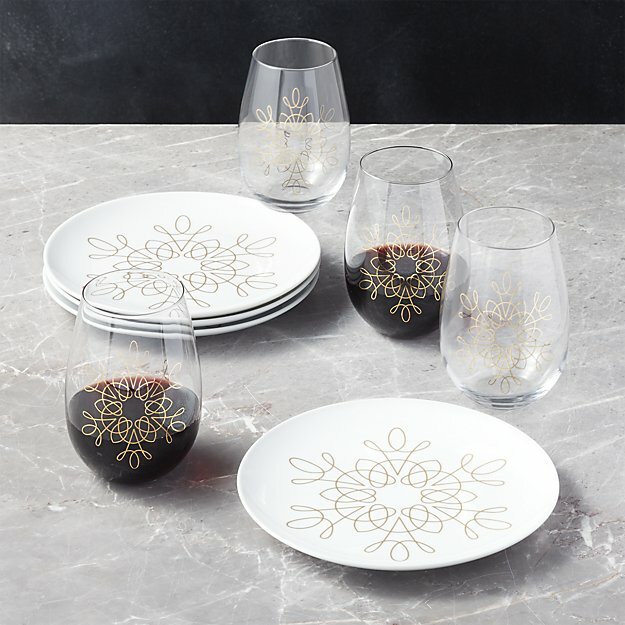 These modern snowflake appetizer plates will add just the right amount of shine to the newlywed’s Christmas party or Christmas dinner. 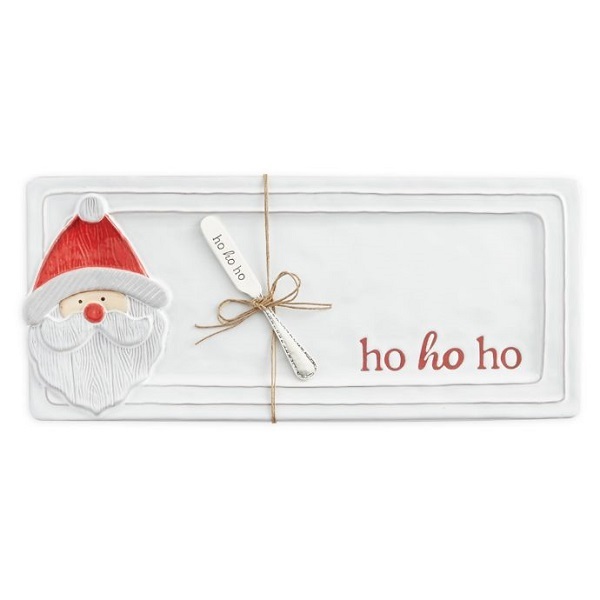 Mud Pie always has you covered when it comes to cute and creative Christmas gifts. This serving platter is a great addition to any holiday party! 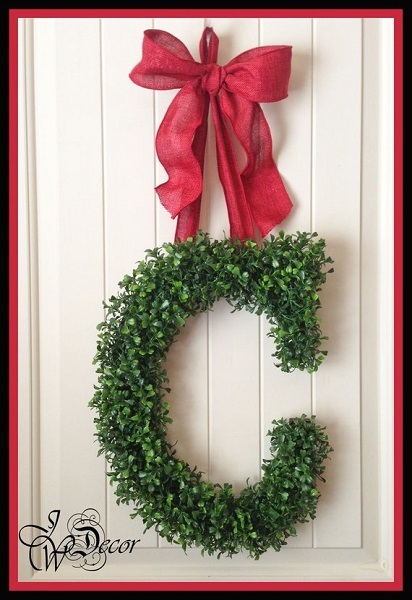 Make sure everyone shows up at the right house by gifting the newlyweds with this personalized wreath. The red bow makes it festive, but it will be a perfect accent piece for the rest of the year as well! With the first snowfall and the continuing months of winter weather, the newlyweds will have plenty of opportunities to get outside and try out some of these adventurous gifts or choose to stay indoors and enjoy the cozier side of the holidays. Send the newlyweds flying into winter on an awesome wooden toboggan. They’re perfect for soaring down hills or taking it to a luge for maximum thrills! Live far away, but still want to spread Christmas cheer? 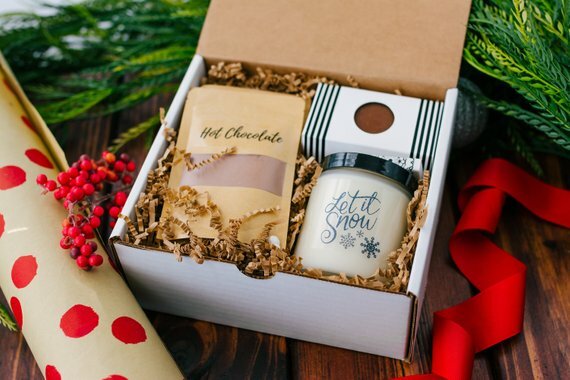 Send one of these hot chocolate gift sets from Etsy seller, PeaceOrganics. The newlyweds will love burning a Christmasy candle while sipping a cup of hot cocoa! 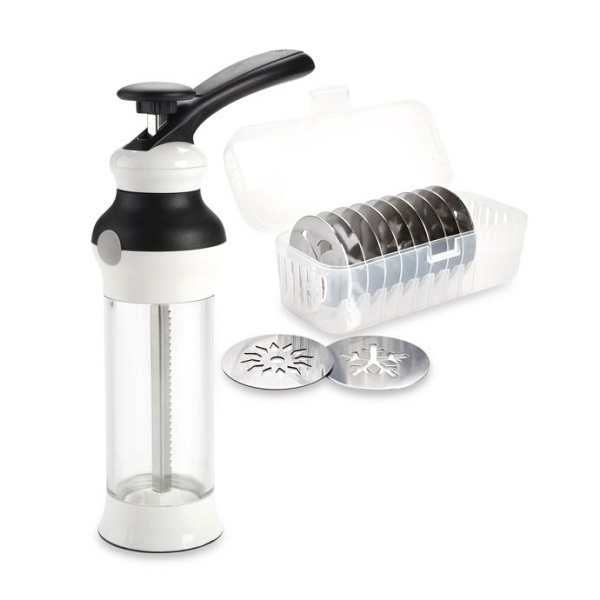 There are Christmas cookies to be made and they’ll be even easier with one of these OXO cookie presses. Attach your tried and true cookie recipe to the gift and even add in a few baking supplies for a sweet holiday gift that will keep on giving. 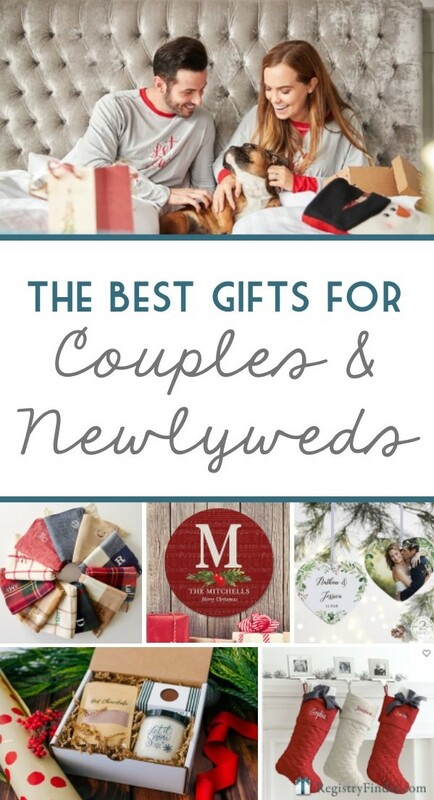 Newlyweds also love having their registries complete for the holidays! 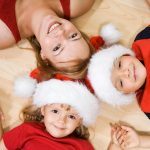 Consider searching for the couple’s registries at RegistryFinder.com to shop for a few still-needed pieces to gift this holiday season. 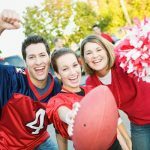 Are you still looking for a few more great gift ideas? 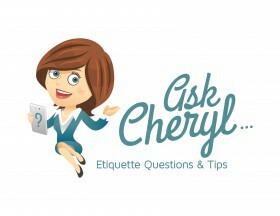 Don’t forget to check out our other gift guide posts on our GiveIt Blog! 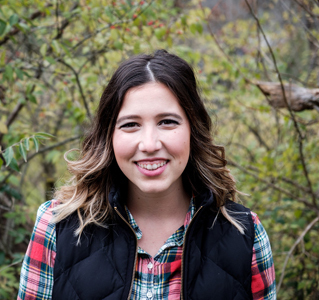 -Written by Sami Moss, who thinks anything personalized is the best gift ever!